You can have unlimited text on an aluminium plate (not a cheap printed label!!!) using sublimation printed technology (as illustrated above). We recommend up to 3 lines of text on each plate to get the best results. We will use silver or gold plate depending on the award. 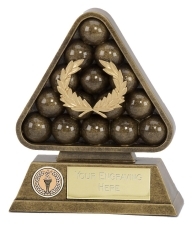 This website gives you the option of adding an engraving plate when you purchase your award. Just select "Plate & Engraving" then "Engraving Required" and it will show you the total cost of your award - no hidden extras. There is also a text box where you can tell us what personalised wording you would like on the plate or you can email your requirements to enq@wessextrophies.co.uk. This should make the process alot easier for you. Some of our awards also give you the option to have Traditional Etched Engraving, just select "Plate & Engraving" on your chosen award and "Traditional Engraving" and it will show the total cost for you. 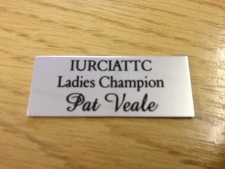 We have a brilliant modern engraver which enables us to engrave multiple fonts and logos. We need to look at the engraving you require on the award in order to give you a firm quotation for glass engraving. Many sites quote one price then add on all the extras, we do not work this way. There are several variables that do change the price of glass engraving including logos, wording, layout and the award which is to be engraved. Where possible we do not charge any artwork fee if it is text only. Logos need to be converted into a format suitable for glass engraving and there may be a small charge for this service. Contact us on "Quote me" or enq@wessextrophies.co.uk and we can give you a firm and guaranteed quotation for glass engraving. 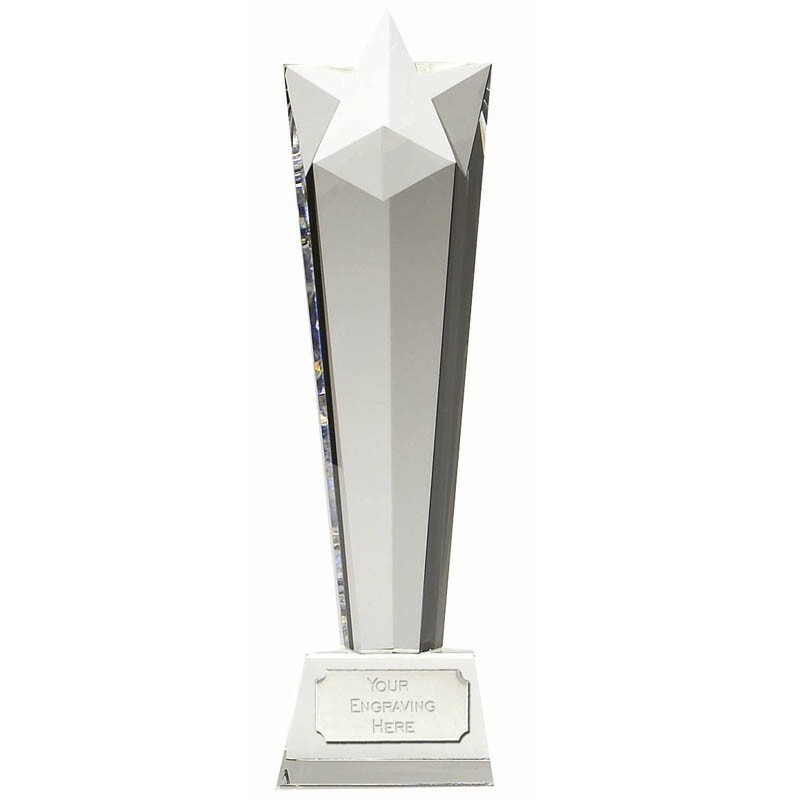 Our ability to replicate club, company or school logos also gives the personalised touch to your awards. We do not charge an artwork fee if you provide a quality electronic image for us to work with in .jpg, .pdf or .cdr format (very few websites offer this!!!). Please contact us should you require this service. 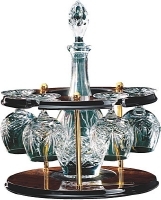 We are very priviledged to have the services of a Silversmith who deals with modern and traditional items for Repairs, Plating, Gilding and Finishing for Trophies. Bring your item to the shop and we will get a quotation for you to undertake the work required within a few days.